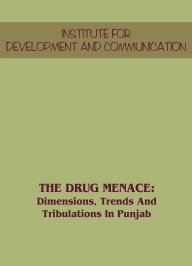 Governance Reforms in Punjab has become a main agenda of the Government. And, it has received positive response from the political leadership and a consideration of the administrative setup. Above all, it has generated hope amongst the people that the implementation of this agenda may give them some respite from rampant corruption and harassment. Taking cognizance of this the State Government has reconstituted the Punjab Governance Reforms Commission (PGRC) in 2012. The mandate of the Commission is to suggest changes in the processes, procedures, rules regulations and design of the public services and in respect of the social development programs to improve the delivery of services, ensure dignified access of these services to the disadvantaged, marginalized; and deprived sections of society including women. It has also set up a Department of Governance Reforms which is headed by Deputy Chief Minister of the State. In 2010, in a major initiative the Deputy Chief Minister S. Sukhbir Singh Badal in consultation with the Commission and senior officials abolished filling of affidavits except in cases where it is mandatory by law. It has also been proposed to introduce self attestation by the applicant (in place of attestation by notary/gazetted officer) for copies of original documents. These changes will result in substantial saving of time as well as money and make it possible to provide most of the need-based services immediately. The main services covered are residence and area certificates, income certificates, applications for construction and connection in urban areas, pensions, SC BC certificates, ration cards etc. To reach out the benefits of various welfare and income-generating schemes and various citizen-related services, decision have been taken to set-up Unified Service Delivery Centres in both urban and rural areas. The e-services to be provided included delivery of old-age pension, registration of pension for handicapped and widows and disabled persons. For the urban services like approval of construction registered architect to be made responsible for compliance with rules and only one certificate to be made necessary after completion of construction. There are number of other reform which have been implemented related to water to sewerage connection, environment safety, etc. Punjab will become second State in the country authorising dealers of automobiles to act as registering authority on first sale. The Government of Punjab on October 17, 2011 launched a novel initiative SAANJH, Punjab Police’s Community Policing programme by inaugurating 115 state-of-art SAANJH Kendras across the state. Headed by the Community Affairs Division as well as the State Level Steering Committee, this first of its kind welfare project is a six-tier body providing policy guidelines, support for capacity building and strengthens systems of planning, management, participatory and integrity mechanism. Aimed to provide maximum number of police services at the nearest possible place in a dignified and humane manner SAANJH was designed for reforms within the Department of Police and for the community at large. Due to lacunae on the part of governance and administration alike the hapless because of ignorance, illiteracy, poverty, non influential status, long procedure and red tapism remain deprived of the entitled services and facilities subsequently leading to deprivation, delay and rampant corruption. Hence with the objective of reforms in governance, the state government took multiple initiatives in all departments i.e. civil as well as the police. Through the SAANJH Kendras Punjab Police planned to provide 20 civil services including verification of tenants, registration and verification of servants, passport verifications, police clearance certificate, verification of vehicles, character verification for service, payment of traffic challans, information of impounded vehicles, receiving complaints of community traffic problems in the area, permission for political/sports/religious functions, NOC for armed license, permission for loud speakers for processions etc. To implement SAANJH effectively at the district level, Community Police Resource Centres (CPRCs) were set up and for networking of the CPRCs with other government departments and administrative structures district level committees were made responsible for the same. In addition CPRCs streamline the training of personnel at the district level and coordinate with the fifth and the sixth tier i.e. Sub-divisional Community Police Suvidha Centres and Police Stations Outreach Centres at the police station level. Punjab Police started working on SAANJH programme in the fourth month of 2011 and with premature preparation in the absence of pre-testing, hurriedly launched the SAANJH programme on 17 October 2011 amidst fanfare. Moreover, the well intended programme of SAANJH was put into action by the previous government in a rush, at a time when its term was nearing completion hence this programme started facing hurdles in implementation and operation. Therefore to take an account of the situation at ground level evaluation of SAANJH was proposed and subsequently planned in order to suggest necessary recommendations for measures that help resolve the plethora of issues. Urgency of the matter led to the evaluation of the SAANJH Kendras which was conducted in the months of May, June and July 2012 in all the commissionerates and police districts of Punjab. To inspect the level of uniformity in implementing SAANJH, in terms of structural and spatial designing, types of services to be delivered and delivery mechanism adopted by different Kendras in different districts at different levels. To make an assessment of the six tiers of SAANJH as per the functions allocated in the government order. Do they possess the required infrastructure, trained human resource, ICT support, etc? Existence of established specialised units in the centres and delivery of SAANJH services initiated or not. Evaluation of the quality of services delivered and necessary feedback in terms of satisfaction levels of the beneficiaries. Nature and level of community participation to be ascertained at the Community Affairs Division (CAD), District Community Policing Resource Centres, Sub-Divisional Community Policing Suvidha Centres and Police Station Outreach Centres. To make an assessment of the financial sustainability of these layered centres. How far it will be practical to impose user charges? In addition, identification of services and amount to be charged in consultation with various stakeholders. Evaluation was conducted in all the 24 police districts and 3 commissionerates of Punjab. Within the police district / commissionerate Community Police Resource Centre (CPRC), two Community Police Suvidha Centres (CPSCs) and four Police Station Outreach Centres (PSOCs) were visited. In all 192 SAANJH Kendras including, 27 CPRCs, 58 CPSCs and 107 PSOCs were visited. Out of 192 centres visited 26 CPRCs, 4 CPSCs and 88 PSOCs did not have their own constructed buildings. These centres are functional from temporary spaces provided in DPOs, DSPs offices and Thana buildings. At the district level discussions were held out with SSPs, SPs and DSPs to know their views and understanding about the SAANJH programme. The In-charge personnel and staff members of each SAANJH centre were interviewed. A representative sample was also drawn from Police stations’s SHOs and clerical staff. Research team conducted feedback interviews with those citizens who were present in Saanjh Kendras. Interactions were also conducted with the committee members to get their input and to know their understanding about SAANJH. Structural and spatial observations were taken, efficacy of record management, appraisal of the service delivery system and staff skills for the same were gauged. The Visit and Valuate Schools was organized by the Institute for Development and Communication, Chandigarh together with SCERT Punjab, in 2016. This remarkable initiative gave parents, civil society and local leadership an opportunity to visit and assess the services and education standards provided in government schools in the secondary and higher secondary levels throughout Punjab. These visits were guided by a common visitor’s kit designed to assess the schools by stakeholders on the following five dimensions of school services: Physical condition and infrastructure; Facilities and services; Equal conditions for learning without bias to gender, caste, minority status or sexual orientation; Child learning conditions; Transparency and Accountability. The visit and valuate school kit has allowed common citizens and stakeholders to place their individual opinions about the quality of service in their local schools in the district and state contexts. The Visit and Valuate School Kit has been developed to assess the degree to which a school is designed and operated to educate the students. This Kit enables people to follow a common set of guidelines for conducting a visit and answer the same set of questions to evaluate the school. In this way, a single school can be monitored over time through repeat visits, by the same or different individuals. For both the government and the public, the Kit provides functional, useful and low-cost indicators of key aspects of quality and learning conditions in school: the set-up and functioning of a government school, and how a school educates the students. School performance is not only about good quality of education is but also an issue of reaching out to children from all walks of life and social conditions, providing free and quality education. If there are children out of school or children in schools not receiving education that is making them capable of earning their livelihood, making them full-fledged citizens of a democratic and just world, then schooling remains to be improved. It is not just the teacher but the community that facilitates the environment for child learning and improving conditions of schooling. Government schools are not perceived to be providing quality education, so much so that any private school is perceived to be a better option. For government schools to gain public stature not only do they have to impart a high standard of education but to gain acceptance, support and trust of the community is necessary. Therefore, the visit and the Kit are designed to benefit both the school and engage the community. For education institutions, the Kit can serve as a channel for approaching the communities served by the school and obtain feedback and support from parents and citizens. By facilitating the visits, the school authorities show their willingness to work with the community to identify and resolve problems and improve the image of government school. For the community, the visits demonstrate facilities and conditions of education provided. The Kit is a useful tool to learn about school performance, showcase the relevance of community support and helps establish a dialogue with school authorities. Upon request or by invitation, community organizations, NGOs, and other members of the public can organize visits to schools. Thus, they can learn more about the daily functioning of the school and problems in delivering quality and free education. In addition, the Kit is not only designed to detect problems, but also to identify good practices carried out in schools. Schools, governments, and civil society can use the Kit to identify and acknowledge schools with good working practices, which can serve as an example for others to follow. Growth per se does not lead to equity. Inclusive growth cannot be reached simply by redistributing the gains after the growth. Policies of inclusion have to be based on creating conditions for the historically disadvantaged groups to participate in the growth process and to be able to have access to assets, livelihood, jobs and investments. The institutional arrangements and factors related to governance around health, education and social welfare are important factors that impact economic outcomes. Given this perspective the approach followed in Vision 2030 document is to prioritise goals, overcome the limitation of segmented and compartmentalised administrative setup and non-holistic policy prescriptions. For instance, each government department has its own priorities and if particular department’s priorities take precedence over the other, that is likely to lead to dissonance within the system. Further, it has been argued that the use of measure has to be in consonance with the sustainable development goals. To illustrate, the aggregate health achievement of Punjab, to a great extent, conceals its glaring social inequality. Health inequality based on gender is alarmingly high in the state. Caste-based inequality in access to basic health services is also prevalent in the state. In view of this we have divided the Punjab Vision Document 2030 on SDG into four pillars which includes three elements, socially-just growth, redistributive sustainable development and productive engagement of citizens. In order to arrive at an integratied policy perspectives, the SDG goals were rearranged for Pillar I, i.e. inclusive economic growth. SDG goals 8, 2, 15, 13, 9, 7 for Pillar II on Citizen Well-Being: Redefining Quality Parameters and Processes. SDG 1, 6, 11, 3, 4, 5, 10 for Pillar III Peace and Governance. SDG 16 for Pillar IV Resource Mobilisation and Investment SDG 17. These pillars have factored in challenges to, address people’s well-being, revitalisation of sectoral growth and maintain peace and harassment and corruption-free governance. The main challenges identified for citizens well-being were dignified living including poverty, hunger, livelihood and shelter. The institutional factors for improving access to quality education, health, sanitation, safe drinking water and electricity have also been addressed. For meeting the challenge of building a socially-just society, the issues arising out of caste, gender and geographical divides have been identified. These identified issues have been interwoven into growth processes. In the context of Punjab, the slowdown in agriculture, skewed industrial base and a fiscally stressed economy have emerged as main factors hampering growth of income leading to pauperisation of people living on the margins. Along with this, the tensions emanating from cross border terrorism and drug smuggling, spiral of religio-caste conflicts, corruption and citizens’ safety have also impacted the well-being of citizens. A composite strategy has been formulated. The main focus has been to built-in the redistribution of income into the growth strategy itself. For instance, it has been visualised to double the income of the small farmers through technology upgradation, improvement in soil quality, integrated water use and provision of quality seeds. It has been proposed to improve the land quality by restoration of bio-diversity through deployment of crop varieties in the fields, enrichment of a natural ecosystem and gene-banks. A long-term strategy for diversification of economy has been proposed by giving impetus to modern small-scale industrial complex and transforming the structure of employment from farm to non-farm through skill development and by building robust infrastructures. A dedicated rail freight traffic corridor, creation of dry ports, sustainable energy system, linking rural areas with urban centres and accessible and modern agricultural markets have been factored in to achieve a double digit growth. A special focus has been given to develop competitive human resource by improving quality of education and skill development. The underlying thrust of vision document is to create conditions for the vulnerable sections to avail these opportunities in an equitable manner and also lays sufficient emphasis on building both institutional and citizens capacities and also formulate strategy to converge engaged governance with e-governance for trust-building, efficient and accountable delivery of services. Safety, security and equitable access to justice are pre requisites for a functional democracy, for generation of material wealth, for reduction of poverty and elimination of social exclusion. It is, therefore, essential to address the fear and risk of crime, improve provisions for the security of individuals and their living environment by creating effective justice institutions and mechanisms that aim at the creation of a crime free society. The focus has to be on prevention of crime and victimisation through a multi-pronged approach that includes improving performance, efficiency, integration of efforts across agencies and the involvement of diverse stakeholders ranging from public service providers to civil society activists. The UN Guidelines on the Prevention of Crime reinforce the need for a holistic approach with a multi-disciplinary knowledge base and intervention strategy. ‘Crime prevention strategies, policies, programmes and actions should be based on a broad, multi-disciplinary foundation of knowledge about crime problems, their multiple causes and promising and proven practices’ . This broad mandate requires multiple and multi-staged efforts through an appropriate institutional framework and strategic approach. To begin with, a systematic mapping of the criminal justice system leading to the development of an index shall help in setting clear priorities, linkages and indicators for crime prevention. This instrument, in turn, shall provide a framework to strengthen the delivery of justice. It uses an inclusive approach and links local cultural needs of justice with global standards of human rights. It can also be used to assess, improve and monitor the efficiency and accessibility of justice and the physical security of citizens. It highlights democratic alternative mechanisms that have been institutionalised in the justice sector incorporating interventions outside the conventional legal system. The instrument maps the delivery of justice in the formal criminal justice system and identifies the informal mechanisms wherever relevant.